This compilation contains no new material, but notably two of the tracks originally had been released on solo albums by Edgar Froese. This release is part of an extensive digipack series (consisting of a total of more than 60 CD and DVD releases) by the Germany based Membran record label. At time of writing, it is available from the Eastgate Music Shop as well. The Eastgate Music Shop about the CD release "New compilation -- first release in this combination! 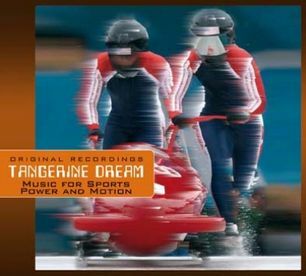 A cool fine choice of Tangerine Dream tracks for those who don't want to give music a miss when doing sports. These compositions will motivate your body to get involved with the cool mix of hot, smooth and hypnotic rhythms -- jump off the sofa -- now!! :-)"
Given that description, the selection of music is somewhat strange, including some very calm tracks without any rhythm at all, while others are indeed suitable for doing sports while listening to the music.